The Atlantic's Edward-Isaac Dovere reported today that Democratic Socialist and 2020 hopeful Sen. Bernie Sanders (D-NY) hired far-left commentator David Sirota as a senior adviser and speechwriter for his primary campaign. Sirota, the piece notes, has actually been advising Sanders' campaign for months without either party disclosing that information to the general public. This is problematic to some because the progressive Twitter user berated other candidates online while a supposedly peaceful Sanders called for decency in politics. But, if you have been following Sirota's career, the bigger story is that the 'Occupy Wall Street' movement is now one step closer to the presidency of the United States. Shaki added he "can only promise and pledge the manner in which [Sirota] is going to work on this campaign is consistent with those values,” and “All I can say is, going forward, he is very much a team player." If Sirota is not a "team player" in terms of civility, he certainly will be in terms of policy. Sirota, who one time praised Venezuela dictator Hugo Chavez's socialism for "real economic gains," has never been shy about his support for the far-left populist/collectivist movement started in fall of 2011 in Zuccotti Park. Early on, Sirota signed his name to a document along with nearly 4,000 other international leftists pledging, "We, the undersigned writers and all who will join us, support Occupy Wall Street and the Occupy Movement around the world." 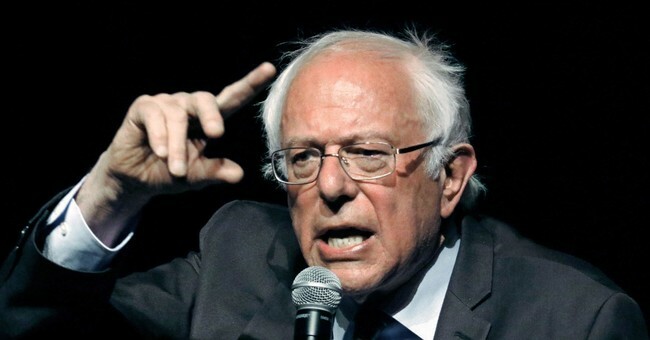 In a piece comparing current 2020 opponent John Hickenlooper to a feudal tyrant, Sanders' newest "team player" wrote that "Without the Occupy protests, the future of the economy and our freedoms are at risk." Six months later, however, Sirota lamented that pop culture seemingly turned on the "99%." In a Salon piece entitled, "Batman hates the 99 Percent," he fretted that the 1% were using entertainment, like they supposedly did in the 80s, to harbor anti-populist sentiment against Occupy Wall Street. "Knowing the teenage audience is right now forming the next generation's vision of good and bad, it's a message that the 1 percent must love," he said of the problem of "villainous motives and psychopathy" being "televisually ascribed to mass popular outrage against the economic status quo, it suggests to the audience that only crazy people would sympathize with such outrage." Sirota's boss Sanders, however, supported the organization from the getgo and has never stopped. "Well I applaud them," he told CNN in 2011. "They are speaking to frustration that millions of Americans feel at a time when the middle class is collapsing poverty is increasing the people on top of doing phenomenally well and the people wolf who caused this damn recession in the first place the folks on Wall Street because of their greed and illegal behavior you know what their punishment has been they're now making more money than they ever made before so what the demonstrators are saying there's something wrong with that picture and they're exactly correct." Fast forward 7 years later, it is safe to say that Sirota rushed too quickly in fearing his Occupy Movement was going to be squashed by Batman movies. It has manifested itself in Bernie Sanders, who like Sirota, also praised Venezuela for its collectivist policies. Remember that Occupy Wall Street's main uniting factor was that its members were against capitalism, and for anything but the status quo. It is why supporters could get away with saying things such as, "Socialism is a great idea. Anarchism is a great idea. Moderating capitalism is a great idea. We can’t afford to have an either/or mentality anymore." In that aforementioned CNN interview, Sanders said it was time for the Occupy movement to "put some meat on the bones" and craft policy. It seems that "policy" is Democratic Socialism. As for how that Democratic socialism works in other countries, Sirota's and Sanders' esteemed Venezeula should serve as a warning. Far more than a political commentator secretly consulting with a presidential campaign, it should alarm every American that a presidential candidate has decided to take an ardent supporter of Occupy as his senior adviser.